An award-winning storywriter’s first novel underscores the effects of racism on three generations of an African-American family. “My father is black and my mother is white and my brother is a vegetable,” explains Emma Boudreaux, sometime narrator of this nonlinear story of the Boudreaux family—including Emma’s grandfather, father and brother. Professor Bernard Boudreaux Junior (BJ), the first black dean of Princeton’s Graduate School of Arts and Science, grew up poor and disabled in Mississippi. A scholarship to a privileged school taught him that if he could not be white, like his tormenting peers, then he must achieve. But despite marriage to a white woman, “so my children wouldn’t inherit our misery,” BJ can’t escape his legacy: the brutal, racist murder of his father, the first Bernard, an act that drove his mother insane. Bernie, Emma’s gifted brother, is beautiful “the way a leopard is. Or twilight.” But Bernie is destroyed when he accidentally urinates on a live rail line and is electrocuted, rendering him “raceless, faceless,” with skin like raw meat, and brain-dead. 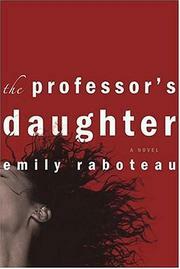 Raboteau’s reliance on unnuanced symbolism continues with Emma’s occasional but extreme skin eruptions, which sometimes divide one side of her face from the other, “an outer manifestation of my inner state.” Bernie’s accident takes place six weeks after Emma’s arrival at Yale. His eventual death and her abandonment by a lover who shares her skin color precipitate flight, first to New Orleans, then New York. On 9/11, she is attacked for looking Arabic. Finally, in Brazil, she reaches a place where everyone “looked like some permutation of her” so she can “begin.” This triple-decker history of socially encouraged, physically expressed self-loathing doesn’t take flight in the tale of Emma’s release but in that of BJ’s anguish and isolation, where Raboteau does succeed in articulating a sense of true pain. Part literary saga, part litany of righteous parables: an impassioned, poetic work that offers commitment as compensation for its overdeterminism.